Did you know that cannabis or marijuana has been used for more than 5000 years? Well, research shows that cannabis has an extensive history of use as a botanical medicine throughout Europe, Africa, Asia, and America. What exactly is medical marijuana and how does it work? Does it have any possible side effects? This article will explore these issues in details to try and shed more light on how this ‘magic’ plant works. Medical marijuana involves using the whole, unprocessed cannabis plant and its pure extracts to treat various disease conditions or symptoms. Medical marijuana should be obtained from a pure medicinal-grade marijuana plant. The plant must be meticulously grown without using toxic fertilizers and pesticides. Various medical professional bodies credit marijuana healing power to its high Cannabidiol or CBD content. The plant also boasts of high levels of medical flavonoids and terpenes. Naturally, the plant also has some THC or tetrahydrocannabinol which is the component responsible for the psychoactive properties in the marijuana plant. However, with the advancement in technology, it is now possible to produce marijuana plants with high CBD and low THC levels for medicinal purposes. As already mentioned, cannabis has been used as a traditional medicine for many years. Unlike in the past, today, the healing capabilities of marijuana is backed up by numerous studies and researches pointing CBD as the component behind the healing power of the cannabis plant. According to experts, our bodies have an endocannabinoid system which interacts with the cannabinoids. It is said that the endocannabinoid system releases human cannabinoids. The cannabinoids then react with cannabinoid receptors found in our body tissues. These receptors are present in your brain, liver, kidneys, lungs and the immune system. Psychoactive and therapeutic properties of cannabis are experienced when a cannabinoid activates a cannabinoid receptor. Although more research still needs to be done to discover how marijuana impacts our health, it is clear that cannabinoid receptors play a significant role in vital body processes such as cravings, metabolic regulation, anxiety, pain regulation, bone growth, and immune function. Which Conditions Can I use Medical Marijuana For? CBD oil has also been found to be useful in treating pain and other symptoms related to cancer treatments such as nausea. It is also believed that CBD oil for menopause can help manage the extreme hormonal and mood changes associated with menopause. This method allows users to titrate the dosage. The best thing about inhalation is that the results are experienced instantaneously. This is because the cannabinoids are immediately taken into your lungs and quickly absorbed into the bloodstream. According to experts, the effects of inhaled medical marijuana can last up to four hours. This is another popular method of consuming marijuana. Research shows that vaping can also help people with a smoking problem or addiction. During vaporization, marijuana is heated until it releases the medication in vapor form. It is these vapors that the patient inhales. Vaping devices come in different designs and sizes. The modern compact and portable vaporizers can easily fit in your pocket hence suitable for discrete vaping. Most people prefer vaping since it allows them to consume marijuana on the go! Are you a non-smoker? Then pills and mandibles are for you! Mandibles refer to cannabis-infused edibles such as CBD brownies, cookies and teas. The best thing about CBD pills is that they are easy to incorporate into your daily routine, since, after all, they are just an addition to your other tablets. The main disadvantage of this approach is that cannabinoids are fat soluble, and as such, complications may arise during absorption depending on the user’s metabolism. However, cannabis butter seems an ideal solution to this problem. This is because fat-soluble cannabinoids blend well with it. The sublingual application is suitable for non-smokers or those looking for immediate relief from pain or other health complications. Medical marijuana can also be applied as a lotion, poultice or as an ointment to treat arthritis, muscle pain, and skin inflammations. Although it is not clear how cannabinoids are absorbed through the skin, it is thought that the more soluble flavonoids and terpenoids are responsible for this property. Cannabis targets parts of the brain involved in memory regulation, pleasure, coordination, and concentration. Because of this, medical marijuana may affect how you feel, think or behave. If you experience more severe side effects, it is crucial that you stop medication and you consult your doctor as soon as possible. More serious side effects may include anxiety or paranoia, depression, increased heart rate, and high blood pressure. Just like any other medication, marijuana overdose can lead to complications and should be avoided at all costs. Marijuana overdose can lead to a temporary psychotic reaction, panic attacks or intense paranoia. Other people may experience hallucinations. 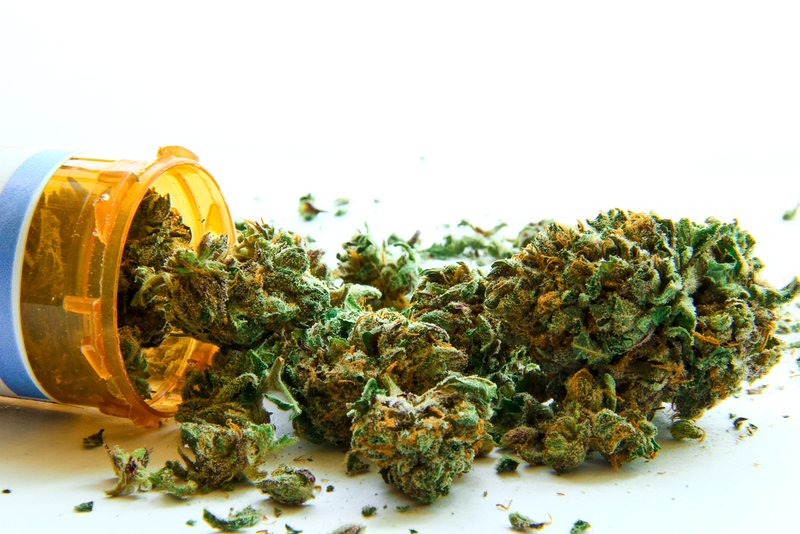 Thinking of switching to medical marijuana for your health condition? Consider consulting with your doctor for advice and dosage.